Not all street style trends are the easiest to wear IRL. But micro bags, the “It” accessory amongst the latest crop of New York and London Fashion Week showgoers, most certainly are (which is part of why they’ve stuck around for, oh, four-plus seasons now). 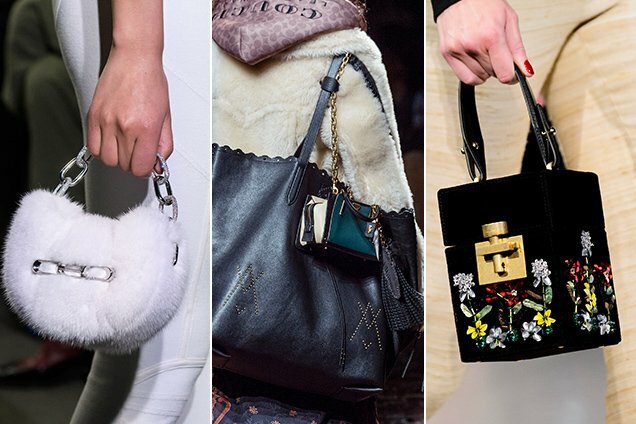 Teeny, shrunken bags say a lot about their wearer. They tell of their ability to edit, to Kondo-down their handbag to just the essentials: keys, wallet, phone, maybe a stick of gum, maybe some lip balm. Plus, they’re fun. Freeing. Usually reserved for weekend jaunts or a night out. The antithesis of the ginormous tote you use to lug around the contents of your desk/life during the week. Itsy-bitsy bags make any outfit feel more playful. They’re not big enough to overpower a getup but they do add instant edge — especially when done in cheery colors, unexpected shapes or unconventional materials. Take it from Kendall Jenner: add a statement purse to a simple frock and you’ve got a look. Another plus: if you’re looking at designer bags, the wee options are typically more affordable than a full-sized bag. 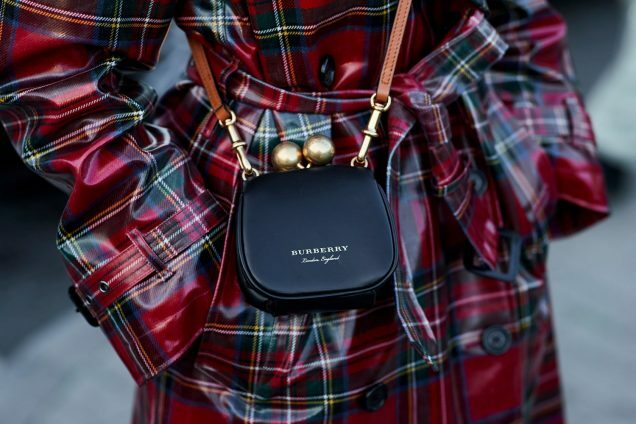 Still, with luxe materials come in haute prices and it’s difficult to say whether the chain-strap fur bags we saw at Alexander Wang or the embroidered box purses shown at Oscar de la Renta will stick by this formula.